I admit to being a bit of a latecomer to this party, having only discovered Rutger Bregman following his extraordinary non-interview on Fox News recently. 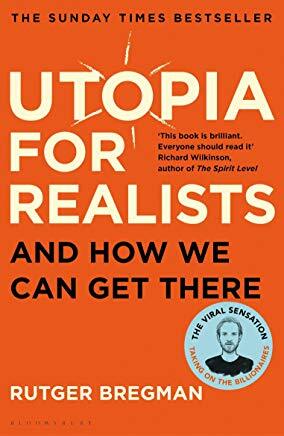 This is his best-selling book laying out the case for a number of reforms, some quite moderate (like universal basic income, which even Richard Nixon advocated) and others far more radical (abolishing borders between countries). These are pretty much all good ideas, but I wouldn’t go so far as to call them utopian. And also, for some strange reason, he’s not mentioned some of the great experiments in social change including the independent Georgian republic of 1918-21, or the kibbutz movement in Israel. Well worth the read.